Get a little taste of the Big Apple while you’re in Vegas. This New York-inspired deli serves up mouth-watering pastrami, corned beef, turkey and brisket sandwiches, with NYC classics like matzo ball soup, kosher hotdogs, lox and bagels. 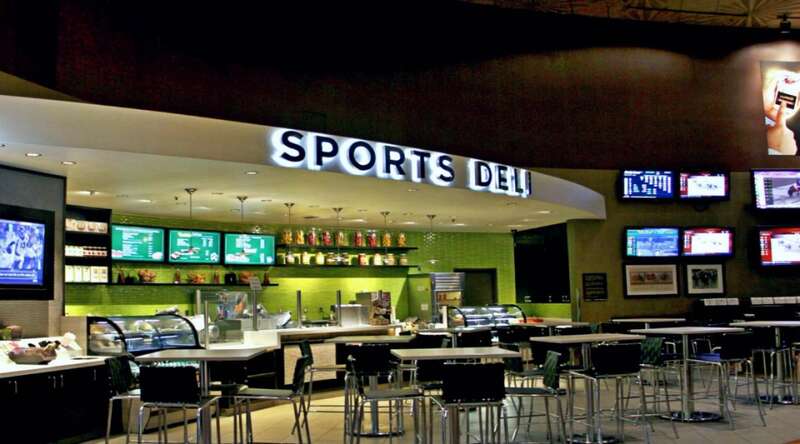 The Sports Deli is located in The District. Walk through the Casino towards Avenue Café. At Avenue Café, turn left and continue through Casino. Walk past Jabbawockeez Theater and The Buffet. 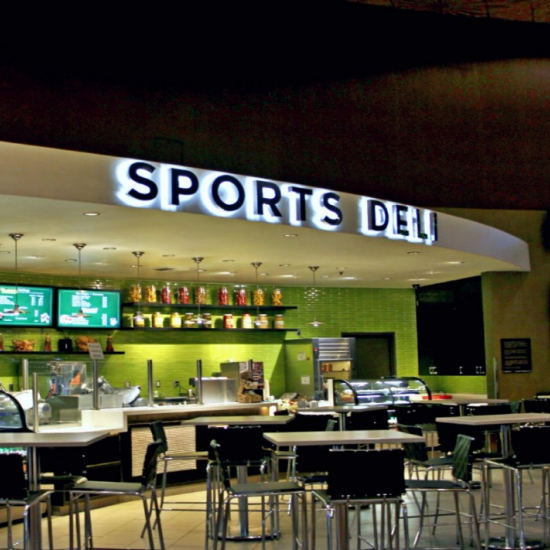 Turn right when you reach Centrifuge and walk towards the Sports Book and the Sports Deli will be on your right. Enter through the Las Vegas Boulevard entrance. Turn left at Centrifuge and Sports Deli will be directly in front of you.